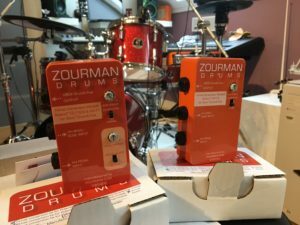 Home › Zourman hi-hat conversion kit › Two more Zourman Drums Modules shipped! Two more Zourman Drums Modules shipped! It starts to be many shipped boxes now! 🙂 This delivery consist of one module for for a customer in Germany (the new VH-13 version) and one VH-11 module with virtual clutch for a customer in the California, US! Great thanks for investing in Zourman Drums Hi-hat Conversion modules for 2box!